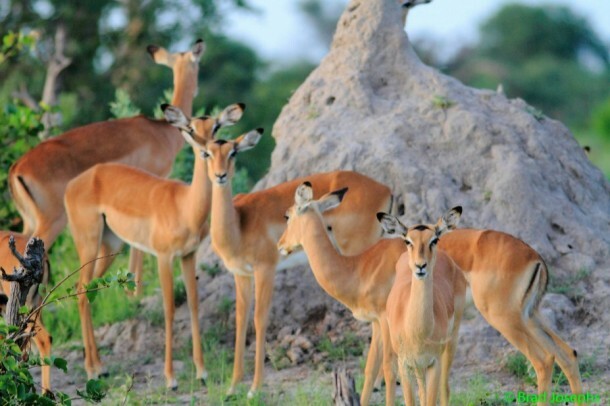 Last month’s post “Botswana’s Green Season vs. Dry Season: When to Go?” was so popular, we wanted to show you what the “green season” looks like with some spectacular Botswana photos. 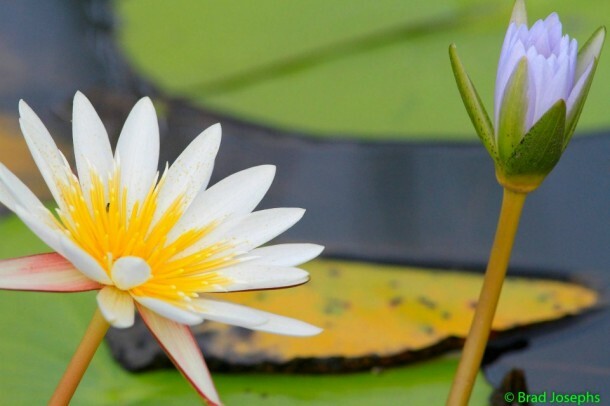 Lucky for us, Josephs is a brilliant photographer, and he’s shared his photos with us. 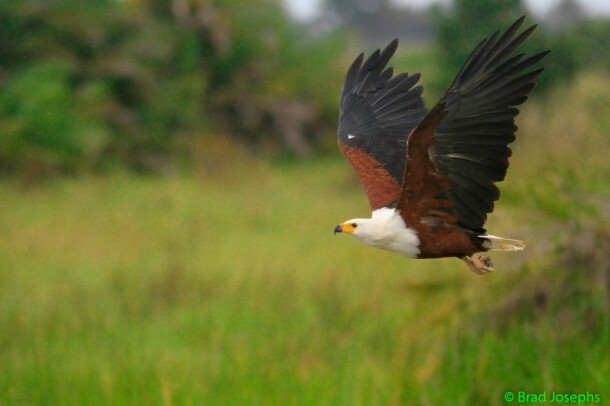 Enjoy this slideshow of some of his favorite Botswana wildlife shots. Then head over to Brad’s blog if you want to see the rest. Trust me, you want to. 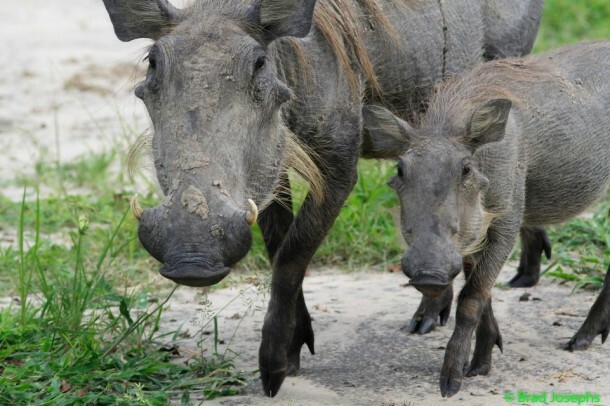 A mama warthog and her calf. 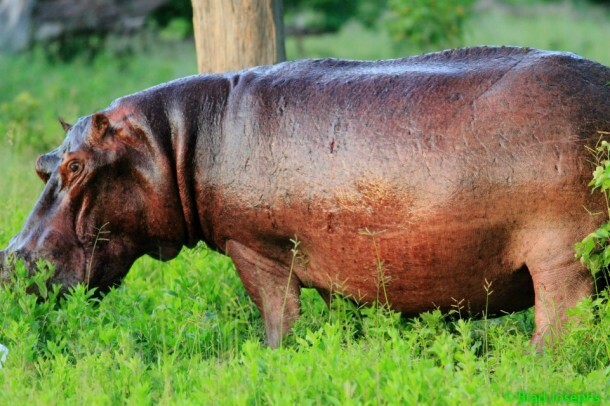 A hippo glistening after a dip. 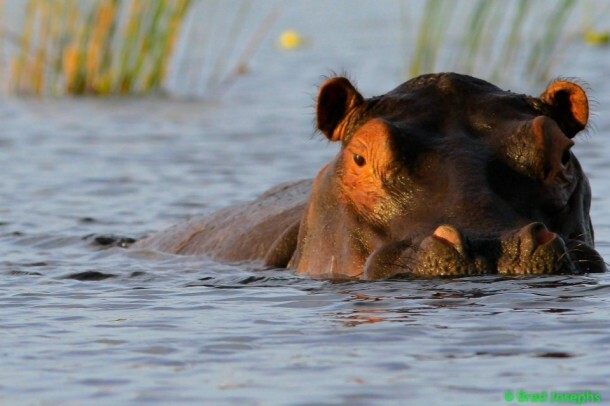 Hippos help maintain the Delta's ecosystem because they create channels to keep water flowing. 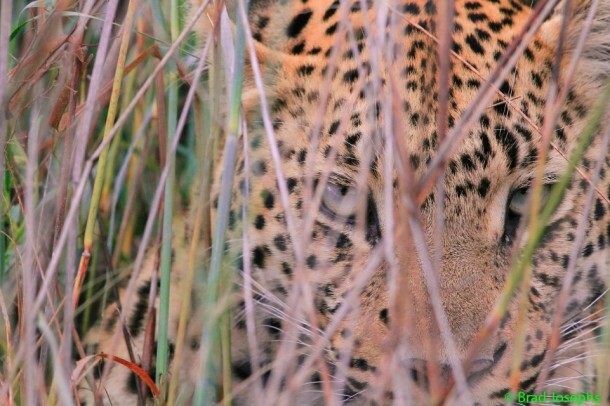 "Our opportunities to view and photograph leopards were utterly outrageous," says Josephs. Hyena pup. 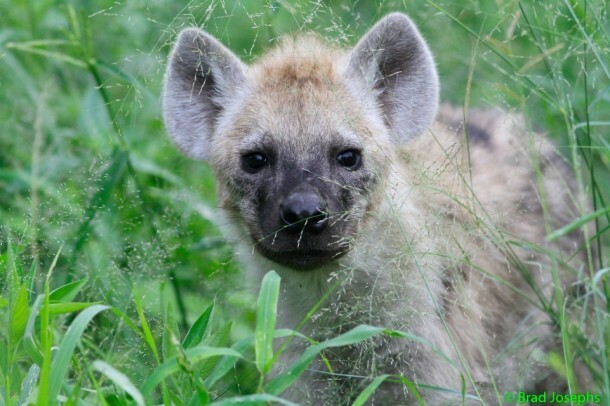 Did you know a hyena's bite force is 1,100 pounds per square inch, while the bite force of a human is only 150? 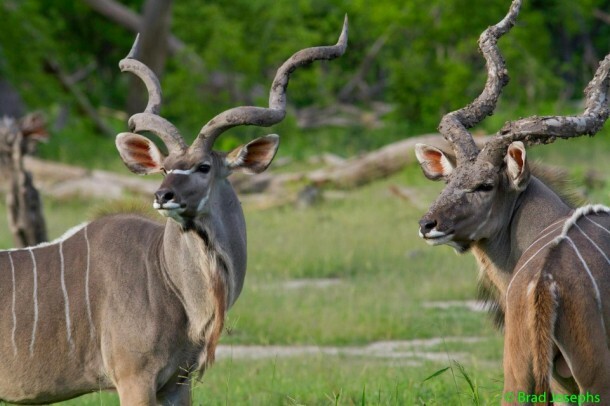 The greater kudu. 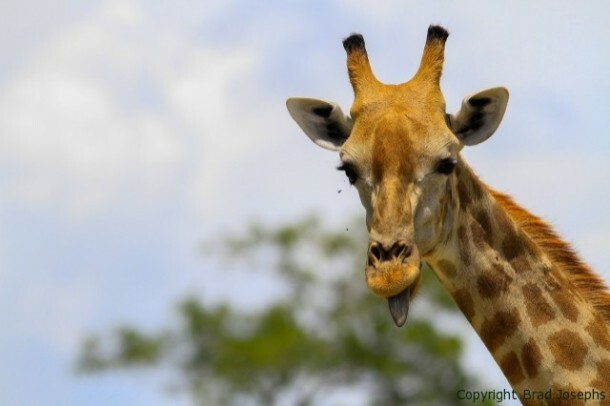 Ever seen one of these guys? 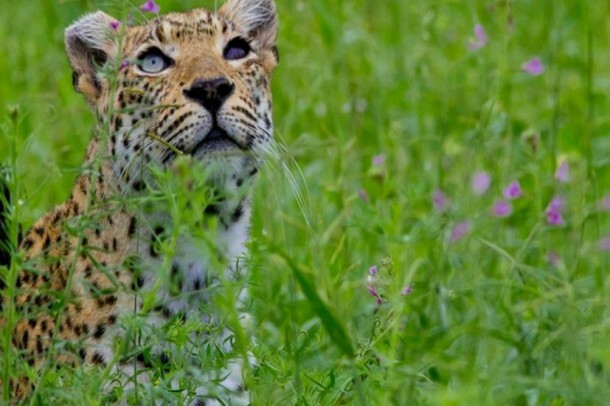 This female leopard was missing an eye, but she's still beautiful. 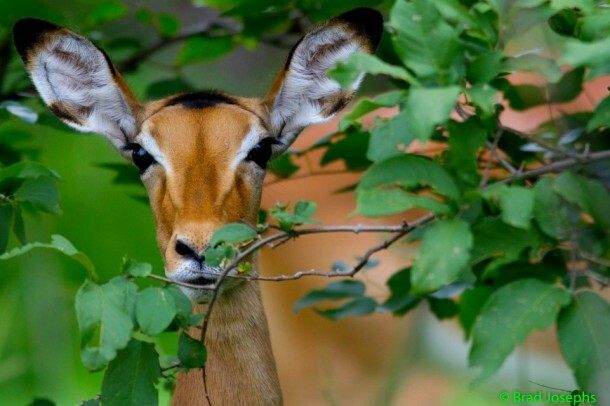 Female impala peeking through the lush leaves. 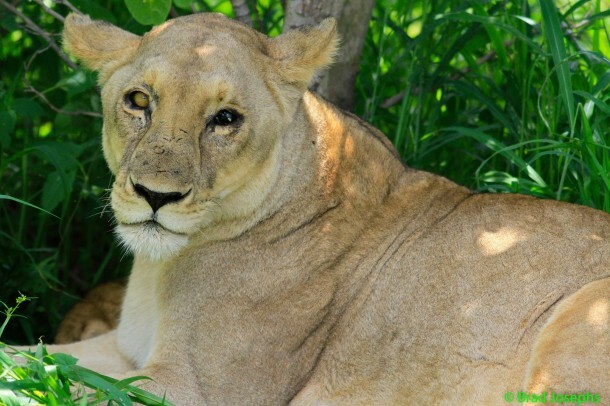 The lioness was blind in one eye. 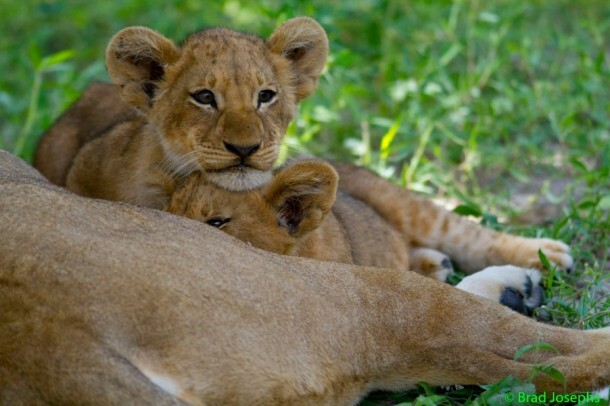 Nap time for the lion cubs. 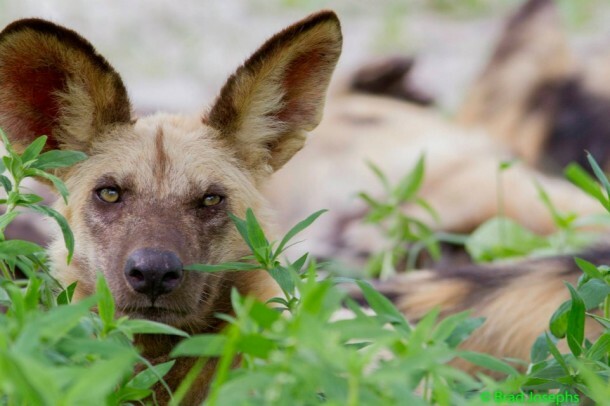 African wild dog. 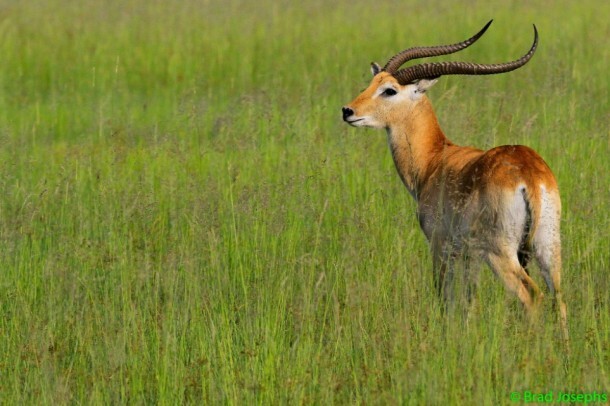 Wild dogs are the best hunters in Africa, as their large packs and high intelligence make them a force to be reckoned with. 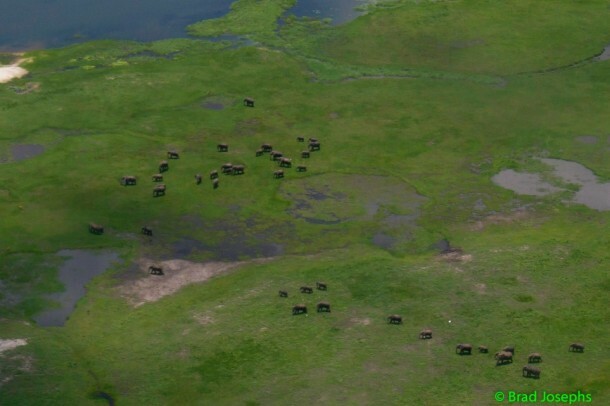 Elephant herd photographed from the air near Chobe. 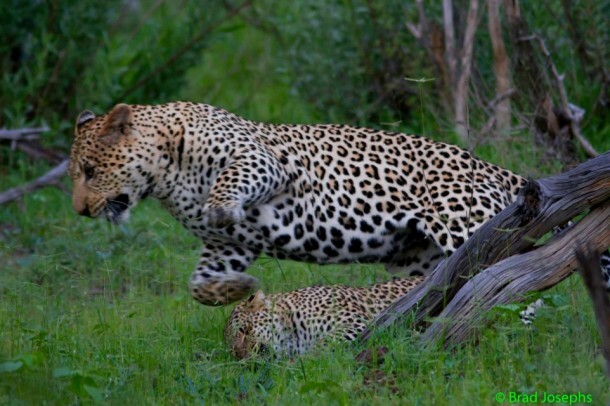 Very rare sighting of leopards mating. 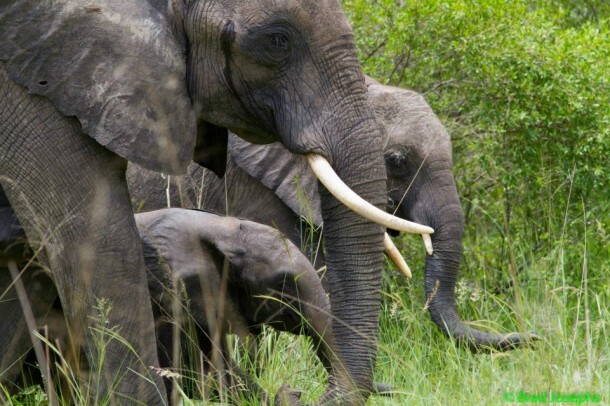 "We spent an hour and a half witnessing something very few people have seen," says Josephs. 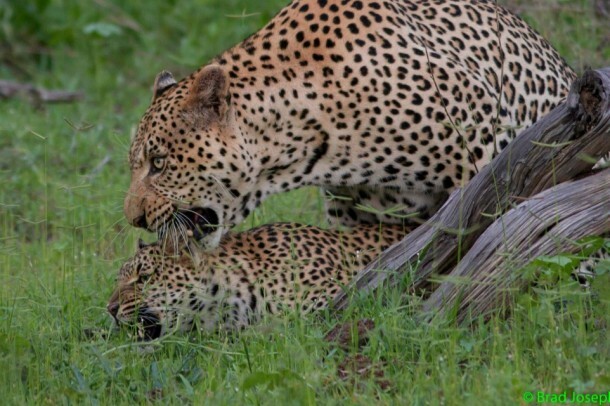 Another shot of the mating leopards. 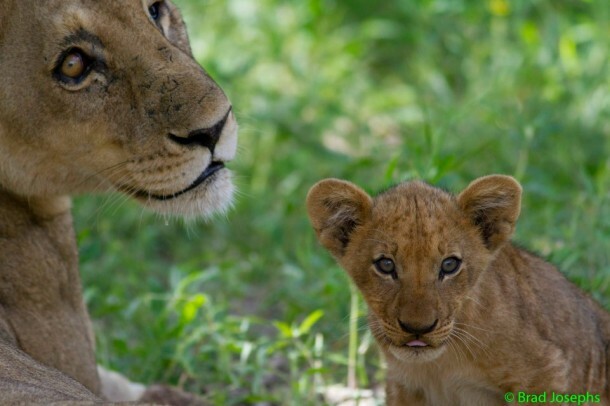 Click here - http://bit.ly/WU1UQB - if you want to see the video of the leopards mating. 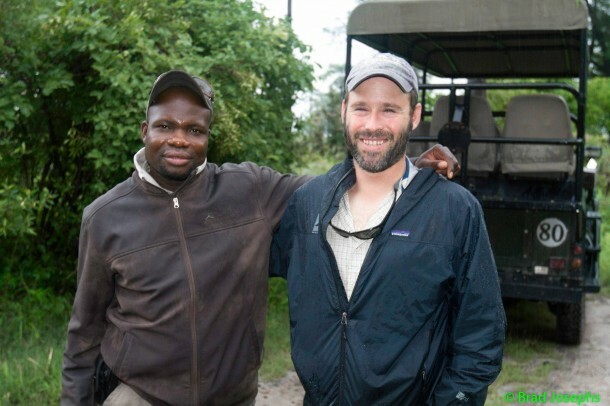 Josephs and legendary Natural Habitat Botswana guide Brooks Kamanakao, the man responsible for tracking the mating leopards. 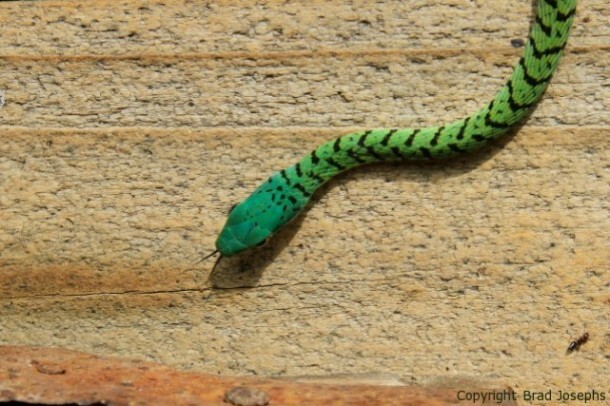 Green vine snake at Little Vumburu Camp. Despite the rain, they saw some incredible sunsets! 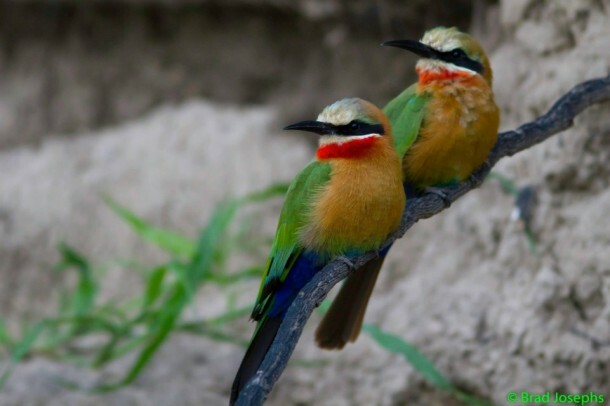 Two white fronted bee eaters. 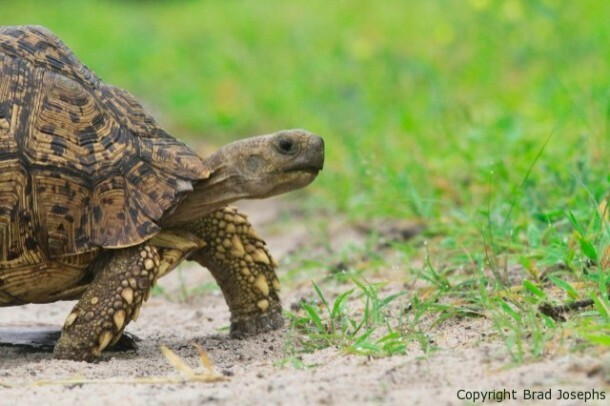 The leopard tortoise is considered one of Africa’s “Little 5″. 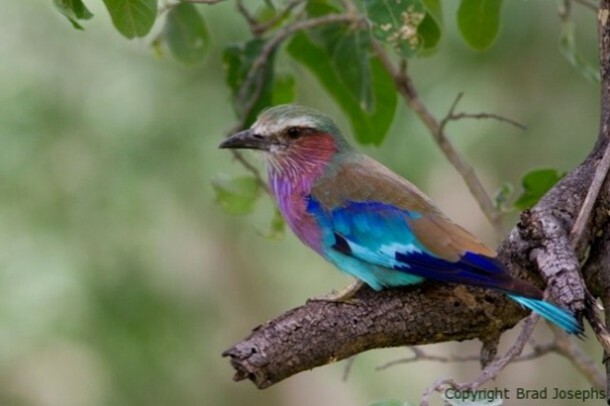 The lilac-breasted roller, Botswana's national bird. 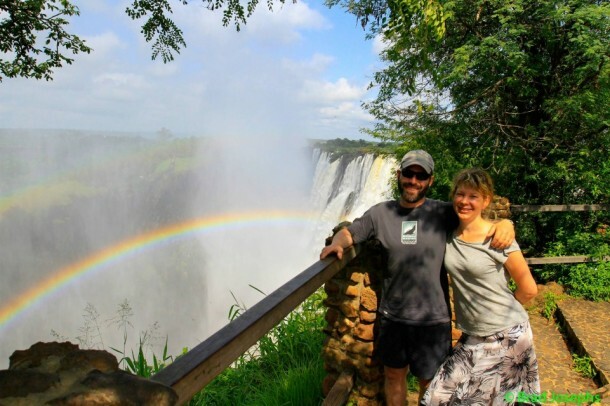 Brad and his wife at Victoria Falls in Zambia. 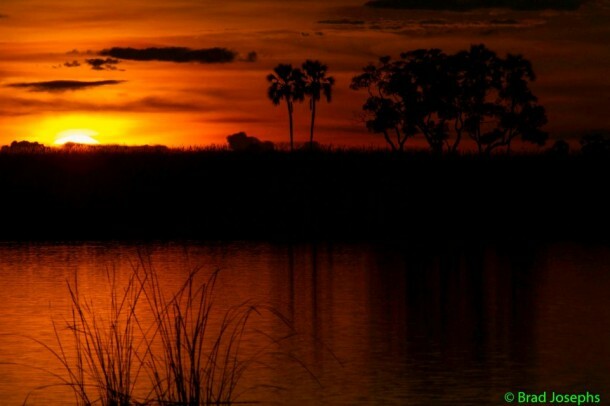 After seeing that slideshow, how could you not want to go to Botswana? 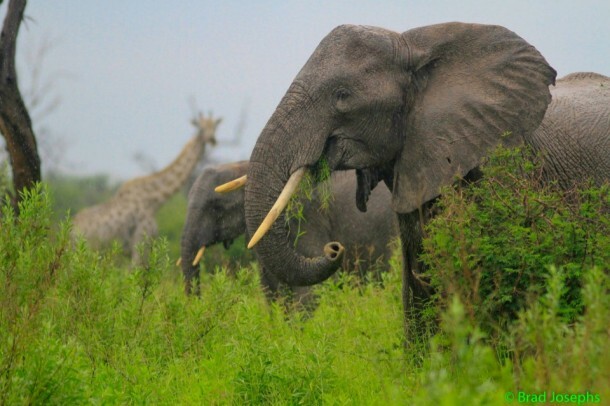 Start planning your African safari at www.isafari.com!